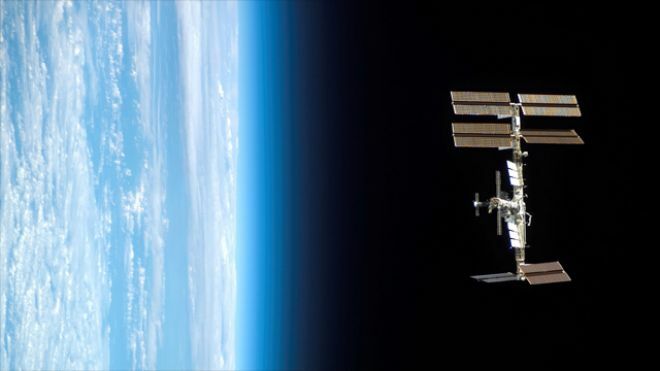 Russia’s space agency backpedaled Thursday from an international outcry over comments by deputy head Vitaly Davydov, who said Russia planned to sink the International Space Station into the Pacific Ocean in 2020. “The partners have agreed to continue the ISS operation until 2020. The partners will also approve an extended period of the ISS,” agency press secretary Anna Vedishcheva told Russian news agency Interfax-AVN on Thursday. At a 2010 meeting of the international science agencies that run the ship, most agreed that an “extended period” of operation was a common goal. But Vedischeva continued to stress the spacebase’s ultimate fate: a watery grave at the depths of the Pacific Ocean. After sinking hundreds of millions into construction of the space station — billions if you include the cost of the space shuttle flights that carried the ISS modules into orbit — knowledgeable government sources and NASA spokesmen were aghast Wednesday at Davydov’s unilateral declaration of the station’s fate. “NASA would have advised us ahead of time if there were any agreement along those lines,” he said. Indeed, NASA claimed they were in talks to extend the station’s services: “The partnership is currently working to certify on-orbit elements through 2028,” NASA spokesman Joshua Buck told FoxNews.com. Russian officials now claim the focus was always on the method of disposal and not about setting concrete deadlines. The space station represents a massive, worldwide accomplishment, spanning an area the size of a football field. It has been continuously occupied for nearly 11 years, and has travelled more than 1.5 billion miles — the equivalent of eight round trips to the Sun — over the course of over 57,000 orbits around the Earth, NASA notes.